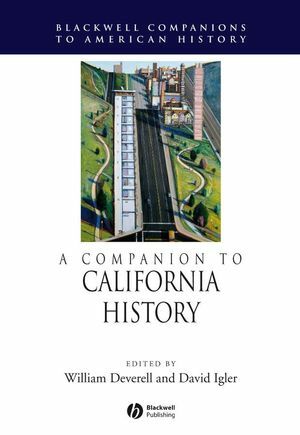 This volume of original essays by leading scholars is an innovative, thorough introduction to the history and culture of California. William Deverell is Professor of History at the University of Southern California and Director of the Huntington-USC Institute on California and the West. He is the author, editor, and co-editor of numerous publications including A Companion to the American West (Blackwell, 2004), Whitewashed Adobe: The Rise of Los Angeles and the Remaking of Its Mexican Past (2004), and (edited with Greg Hise) Land of Sunshine: The Environmental History of Metropolitan Los Angeles (2005). David Igler is Associate Professor of History at University of California, Irvine. He is the author of Industrial Cowboys: Miller & Lux and the Transformation of the Far West, 1850-1920 (2001) and co-editor (with Clark Davis) of The Human Tradition in California (2002). He has published articles in the numerous history journals, including the American Historical Review, the Pacific Historical Review, Environmental History, and the Journal of Urban History.